Today’s podcast features a talk given by Sasha Shulgin in 1996. 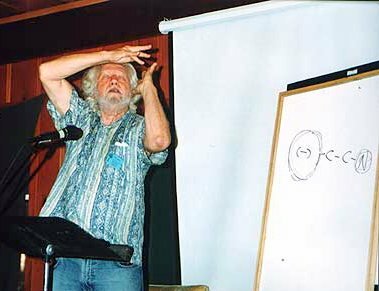 In many ways this is a perfect Shulgin talk for a podcast because he didn’t use any photos or the chalkboard to assist in his presentation. This talk is also one of Sasha’s best presentations as for not just the chemistry but also for some of the personal stories he tells. Also, he clarifies the Urban Legend about LSD occurring in nature. Posted in Books, Creativity, DMT, Imagination, LSD, MDMA, Medicine, Psilocybin, Psychedelic Research, Psychedelics, Science & Technology, Shulgin. Sasha and the Shulgins as a couple are a beautiful example of lifelong growth and vitality through the use of their minds. Shulgin is an example of following one’s bliss leads to the score of a lifetime. What an amazing contribution to our species.